How Can Engineers Stay Efficient While Utilizing CAD Software? As the world of technology continues to evolve at a rapid pace, it has become more important than ever for engineers to make the most of their available time. That means engineers must make an effort to stay as productive and efficient as possible. One way to do that is by taking advantage of CAD software. 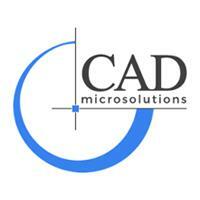 Today, there are numerous different types of CAD software systems available. Those systems can provide engineers with the ability to increase their productivity. What is CAD software? This specific type of software can present a number of advantages that will allow engineers to work far more efficiently. For example, with a content library, you can enter standard parts into drawings. Such parts might include fasteners, steel shapes, screw connections, belts, chains, springs, cams, and other types of mechanical assemblies. Once this is done, you can then access the shapes quickly and easily, thus saving a tremendous amount of design time. Tabs in CAD software can also be customized for a greater level of efficiency. For instance, engineers might notice there are certain buttons and features they tend to use more so than others. After identifying these buttons and features, you can then customize the interface of a CAD software to make sure those buttons are more prominent. This helps to save an incredible amount of time, as you do not have to continually switch between various panels. In asking what CAD software is, it is also important to consider other advantages. Large files of 3D models can also be incorporated into drawings. This feature can help to save long load times while also helping prevent errors. Preventing potential errors can be critical for any project, as it can ensure you do not need to waste valuable time going back to identify and correct such errors. CAD software can also present the opportunity to utilize specialized features and commands. Once again, this is a great way to save time. The software can handle a variety of elements, such as establishing thread size, depth, and pitch for any type of machined hole. What Is CAD Software, and How Can You Make the Most of It? Perhaps the best way to make the most of CAD software is simply to spend some time working with the various features and tabs. Once you become familiar with everything that CAD software can do, you will likely find this software can save you a tremendous amount of time as well as frustration while allowing you to work far more efficiently.